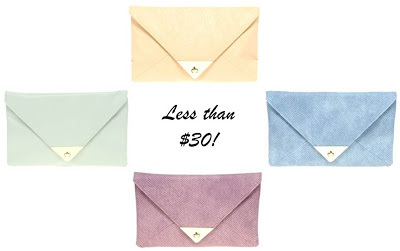 It’s no secret that pastels are everywhere for spring…and even if you’re shopping on a budget, you can start small by accenting your look with these feminine hues. I’ve put together dozens of affordable options so you can buy just one or stock up in preparation for the new season. Love the color choices, especially in the nail polish. Thanks for sharing! I love all the pastels! Though it's been unseasonable mild in NY – I still can't wait for spring. 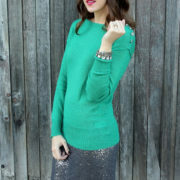 love all of these mint-colored items – and F21 jewelry is THE BEST!! Beautiful pieces, Love them all! Love all of the pastels!! What do you use to edit your photos? They are amazing. You always have fabulous picks. Loving all the pastels for springs. So pretty! Love those clutches. All these pieces are so lovely I don’t know where to start clicking! pastel wonderful overload! those ASOS clutches are perfect. What a contrast to neon though. Which way do you suggest the average gal go?? 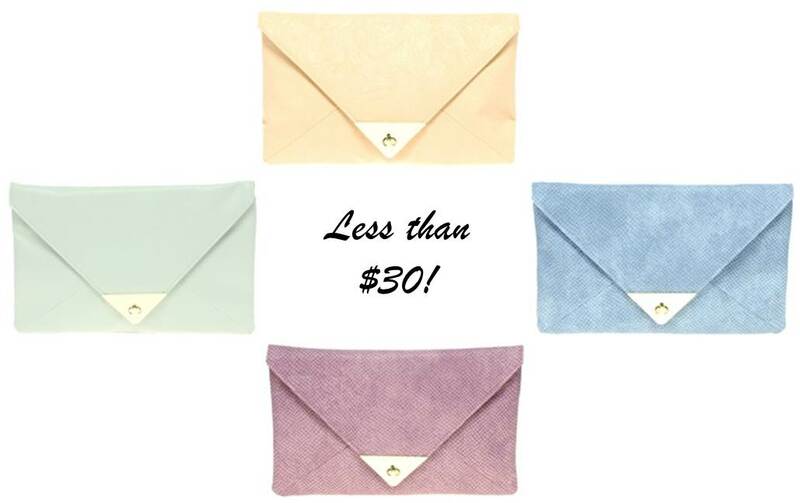 The clutches are so pretty! Love the nail polish selections too…I already own Mint Candy Apple and love it! 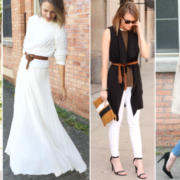 Love your blog and the affordable fashion you feature. We are also all about everyday fashion and have created a pilot episode. Check out our kickstarter campaign.